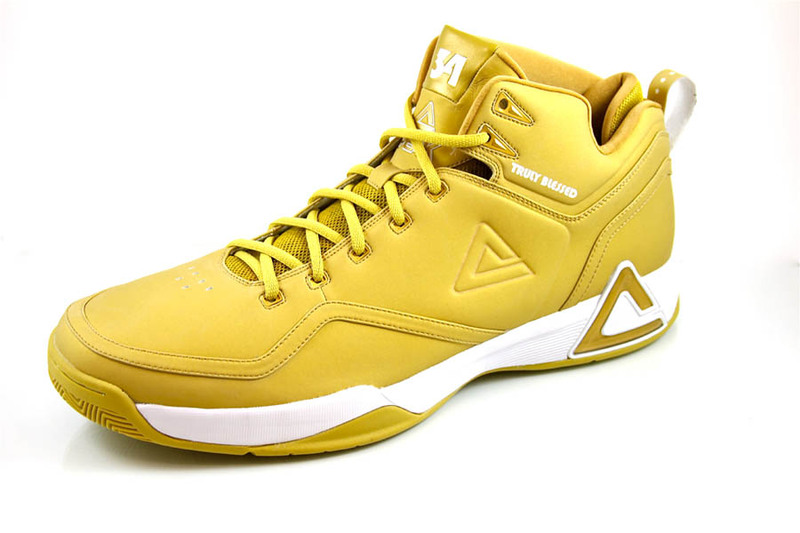 First Look: PEAK JaVale McGee All-Star - "Truly Blessed"
JaVale McGee, runner up in the 2011 Slam Dunk Contest, wore these sneakers in the final round. Earlier tonight, Washington Wizards center JaVale McGee was the runner-up in the 2011 Slam Dunk Contest. 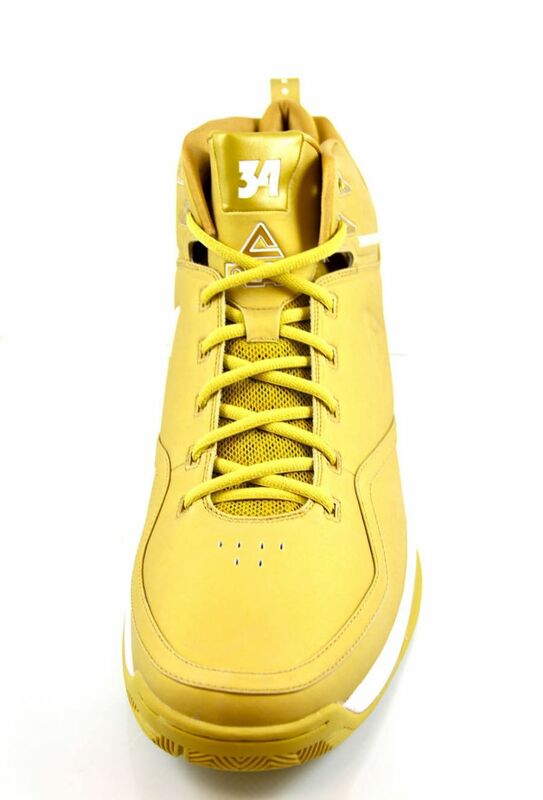 While Blake Griffin had the crowd in his hands, it was McGee who brought the degree of difficulty to the table...along with his mom and five different colorways of his PEAK Relentless Dunk Contest shoes. 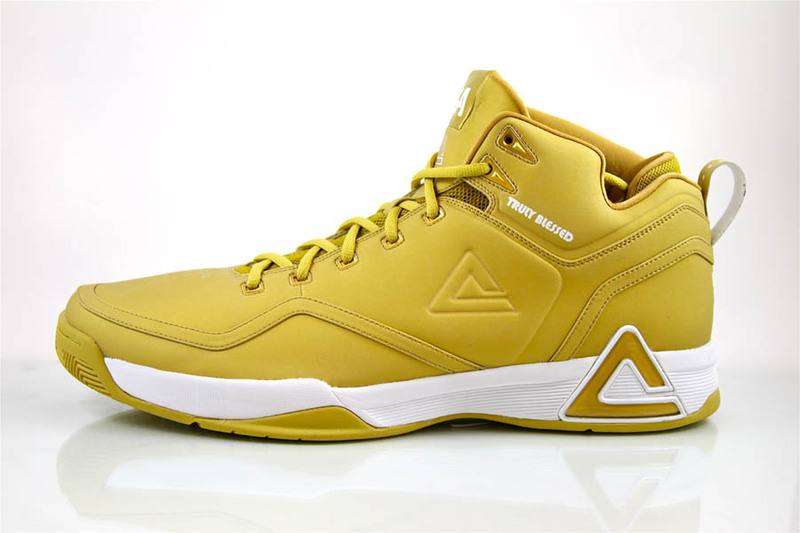 We continue our look with JaVale's kicks with the "Truly Blessed" colorway, which he laced up for the final round of the contest. This pair features a golden leather upper with tonal mesh working the inner bootie. 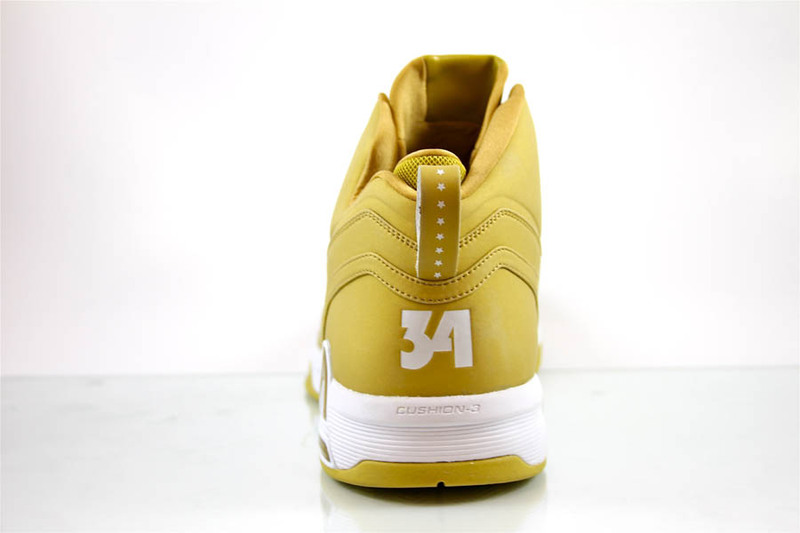 White accents the look on the tongue, heel and midsole, while a gold rubber outsole finishes up below. Along the ankle are the words "Truly Blessed" in white. 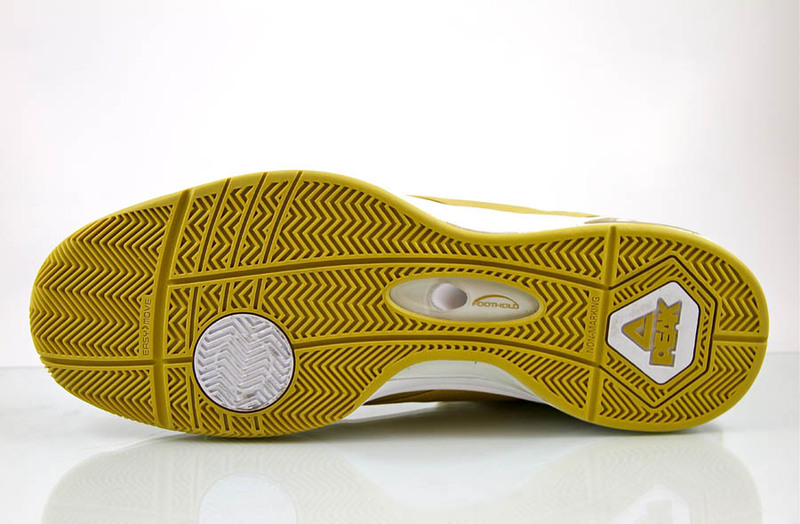 Stick with Sole Collector for more updates on PEAK footwear.